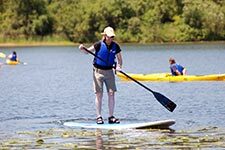 Would you like to help share all the outdoor recreation opportunities available through our Minnesota state parks and trails? Ask us how! Contact Verónica Jaralambides, 651-259-5583. 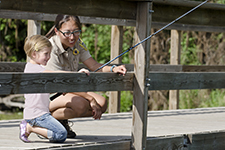 Partnership opportunities include outreach with new audiences, co-promoting Minnesota State parks and trails, and mutual benefits strategically aligned with your goals and ours. 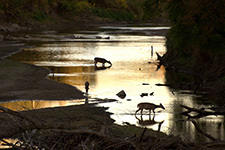 56 primitive campgrounds in state forests. 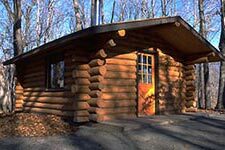 Camping and lodging with a variety of cabins, guesthouses, lodges, tipis and over 5,000 campsites in state parks and recreation areas. 35 state water trails with over 4,500 miles of paddling. Over 3,000 public water accesses where you can launch a boat for free. 360 fishing piers and shorefishing sites, with free fishing available at most. 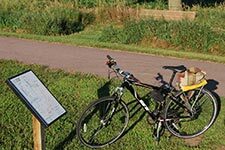 Over 1,300 miles of state trails, including over 600 paved miles and 560 "rail-trail" miles—plus thousands of miles for mountain biking, horseback riding, skiing, OHV or snowmobiling.